For over a century, Gentex Corporation has been a world-class manufacturer of personal protection and situational awareness solutions and products. To maintain this status, we employ our own Quality Policy and operate under an ISO 9001 Quality Management System. The above policy is communicated to all employees via awareness sessions and employee handbooks. The quality policy is to be understood by each employee and reinforced periodically through training, visual aids, and management/supervisory commitment. Gentex Corporation operates under an ISO 9001 certified Quality Management System that is supplemented with additional quality system requirements that meet the AS9100C and AS9100D standards that provide strict requirements established for the aviation, space, and defense industries. These standards ensure that our Quality Management Systems consistently provide products to meet our customer’s requirements, enhance their satisfaction, and ensure process measurements to support continuous improvements. As part of this certification, a third-party agency audits our management, engineering, manufacturing, testing, and other support processes to verify that the exacting requirements are consistently met. 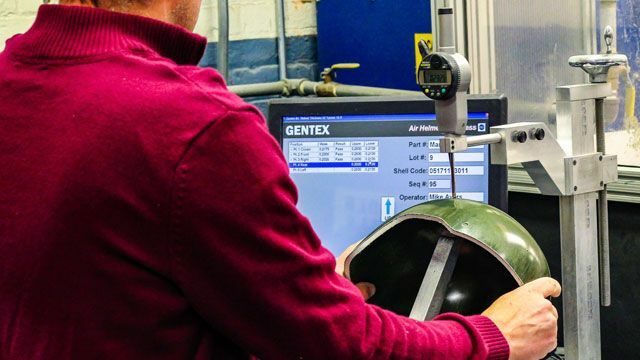 Additionally, the AS9100C and AS9100D standards require Gentex to supplement its Quality System with enhanced risk management, supplier management, continuous improvement, to process effectiveness measurements. These additional requirements and Gentex’s own Quality Policy ensure that Gentex is a world-class manufacturer of personal protection and situational awareness solutions and products.